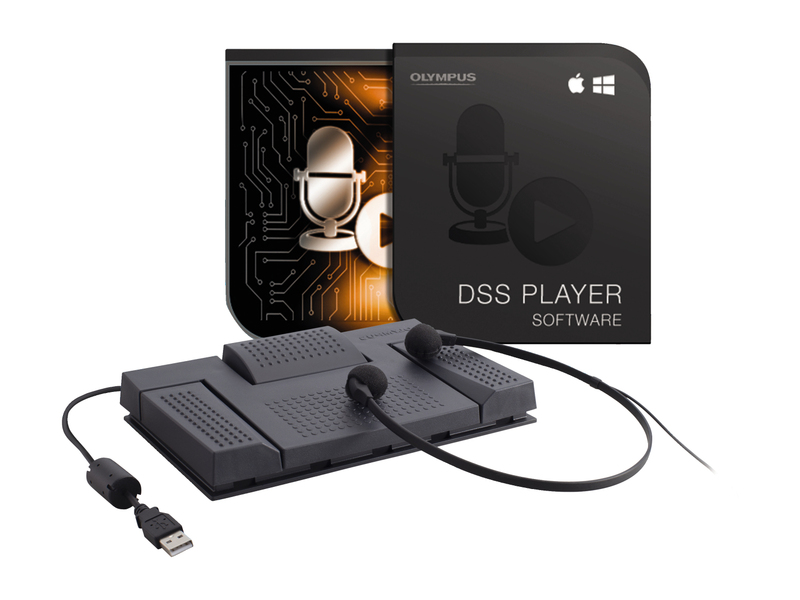 For dedicated transcription needs, Olympus offers the optional AS-2400 Transcription Kit which includes a footswitch and headset for hands-free operation. The AS-2400 guarantees easy transcriptions of any DSSPro recordings. Data can be labelled according to importance or priority and files can be viewed at any time. It allows easy transfer from the voice recorder to the secretary’s office. Besides the DSS Player Standard Transcription Module, the kit also includes the RS-28 footswitch and the E-102 stereo headset to make hands-free operation of the DS-2400 possible.